Recently signed with Inklings Publishing for a new book series. Book 1 is set to be released early 2018 with book 2 to follow later in the year. J. LYNN ELSE is the author of the forthcoming series Awakenings. The first book, "Descendants of Avalon," will be released early 2018. She is a Minnesota author and has self-published two historical fiction novels set in ancient Egypt, "The Forgotten: Aten’s Last Queen" and "The Forgotten: Heir of the Heretic" (YA-14). 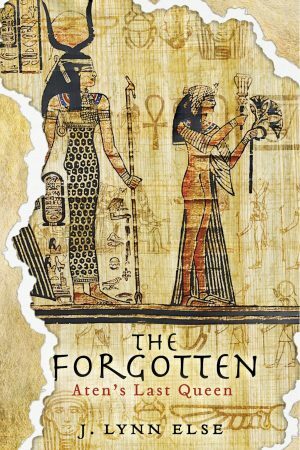 Her book, "The Forgotten: Aten’s Last Queen," was named an Indie Editor’s Choice book by the Historical Novel Society in 2016. J. Lynn loves reading and writing about awesome women from antiquity. Besides history, she also gets nerdy with Star Wars, Star Trek, MST3K as well as the Harry Potter series and Percy Jackson series. Reading, drawing, and scrapbooking if I ever find the time! I prefer a good 2-in-1. I'm not super high maintenance in the morning. Beaches, because I love the sound of the waves rolling along the shoreline. Too many commas in a sentence.